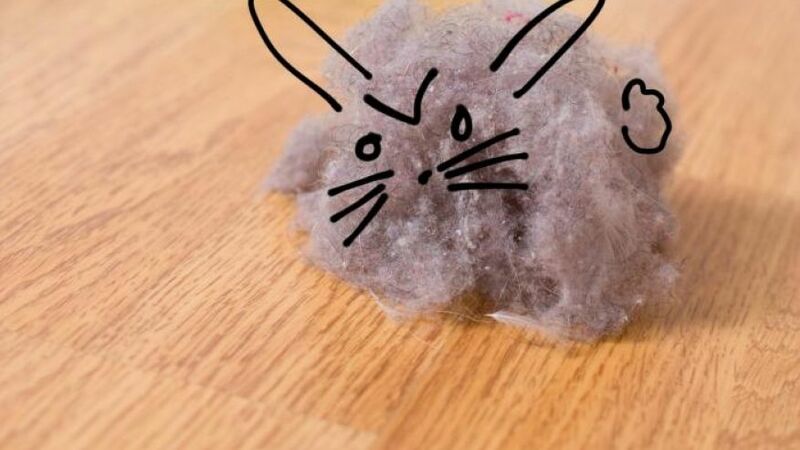 Dust bunnies, not cute and very annoying as no matter how much you clean, it keeps coming back often within days. Dust is made up of all kinds of particles including plant pollen, dead skin cells, and fibers from clothing and paper, outside influences. When it accumulates, it’s annoying and can wreak havoc on asthma and allergy sufferers. To make matters worse, with dust come dust mites. While it’s impossible to completely rid your home of dust, here are some easy tips for keeping it to a minimum. 1. Change your bedding once a week. Dust mites love to dwell in sheets, pillows and mattresses. Using a mattress/bed protector in conjunction with washing your bedding once a week, should be enough to keep bug-a-boos at bay. Mattress protectors should be washed at the same time. 2. Keep tidy wardobes. Clothing stored in closets shed lots of fiber. So unless you want a blast of dust each time you open the wardobe door, it’s best to store things in garment bags, plastic containers and boxes if at all possible. 3. Remove clutter from floors. Don’t ignore piles of clothing, toys, magazines, books or anything else on the floor. Cleaning around them won’t take care of the dust that has settled in or around them. Minimizing a room can really help with a healthy environment. 4. Carpeting. It may look gorgeous, but carpeted floors are high-maintenance and magnets for dust mites. They should be vacuumed daily, but even that may not be enough for people with severe allergies. If you’re attached to your carpet, consider investing in a vacuum cleaner with a double-layered microfilter bag or a high-efficiency particulate air (HEPA) filter, which prevents dust from being re-introduced into the air. Otherwise, stick to hardwood, vinyl, linoleum or tile flooring. REMOVE SHOES when walking on carpet – don’t forget whatever you have stepped on and wherever your shoes have been will soon be all over your carpets. 5. Take it outside. Dust from area rugs and pillows should be beaten outdoors. Pillows should be replaced every 12mths-2yrs if possible or alternatively use a pillow protector. 6. Duster do’s and don’ts. Feather dusters only aggravate existing dust and move the dust to cause it to settle elsewhere around your home. Instead, use a damp cloth or moist towelette or microfibre cloth to wipe down surfaces. 7. Clean from top to bottom. Clean the highest surfaces first and work your way down, so you capture any dust you missed. Don’t forget the top of door frames. 8. Air purifiers. If you have severe allergies or asthma symptoms, an air purifier can be very beneficial — but that doesn’t mean you can ditch the duster! While they filter dust particles, they don’t take care of dust mites (since they’re not airborne). Also, for an air purifier to be effective, you’ll need one for each room – costly and I wish I could have one in every room but I can’t so I choose to clean. An hour a day is easier to maintain a home rather than 6hrs on a weekend. Alternatively Busy Bees Wellington are expert Bunny Ranglers if you need our assistance. We can certainly complete a full deep clean ready for you to keep maintaining.